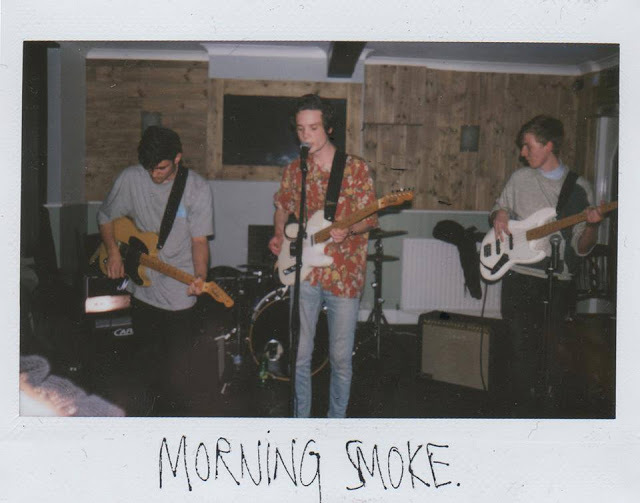 Brighton's Morning Smoke return with another killer track taken from their forthcoming EP in the form of Tangerine. Built upon the same hazy vocal style we have grown to love from their previous effort the new single is fuelled with an immediate drive as piercing guitars slice through the quick fire percussion and basslines. As its wall of noise momentarily clears to give you a chance to compose, you're quickly thrown in to one final blast of energy as the guitars rise up once more before bowing out. Another stellar performance. The bands Euphoria EP will be released October 28th, 2013.